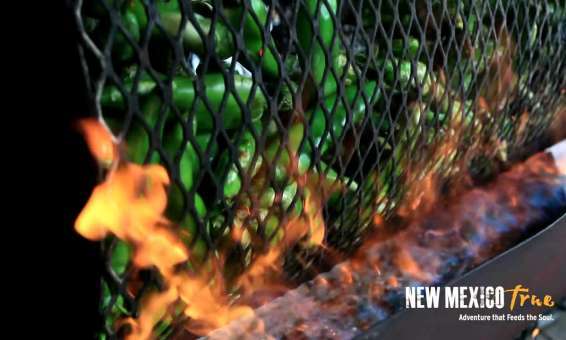 While cooler temps usher in the fall season, they also mark the beginning of prime chile roasting in New Mexico. Here are some great ways to get your chile fix this fall. The Green Chile Cheeseburger Smackdown on September 8 in Santa Fe’s Railyard will spotlight some of New Mexico’s best burgers and world-class chefs. Eight restaurants will compete for the chance to reign as the Green Chile Cheeseburger Champ. The New Mexico State Fair is always a source of unusual but tasty uses of green chile, including things like Green Chile Cheese Donuts and Green Chile Corndogs. 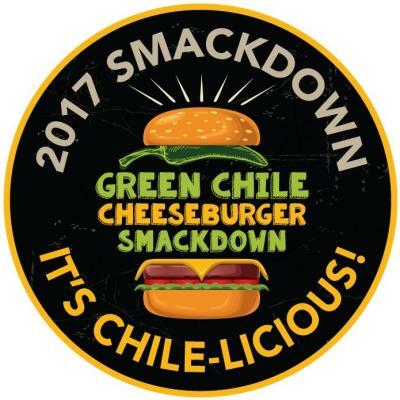 Head out on Monday, September 11 for the Green Chile Cheeseburger Challenge where 12 restaurants will compete. Cooking begins at 3:45 p.m. with tasting and voting by the first 100 people in line. To venture out to fulfill your chile craving, hit the highway on the Enchanted 8 Road Trip for TRUE Foodies culinary quest with plenty of the best chile offerings across the state. This includes two classic restaurants serving up green chile cheeseburgers in San Antonio, cooking classes centered on chile, and chile-centric bike tours. No single food says “New Mexico” to more people and in more places around the state than these burgers. And these are the best of the burgers, as selected by restaurant patrons. Family-owned restaurants from around the state that have been in business more than 40 years. And almost all will incorporate green chile into their signature dishes. New Mexico True Certified means local and authentic. Get your hands on these green chile products that are made, grown and born and raised right here in New Mexico with pride, love and the finest quality ingredients. The True Certified roster of great chile sources includes 505 Southwestern, Apple Canyon Gourmet, Bueno Foods, Cervantes Food Products, New Mexico Gold Olive Oil, Old Pecos Foods, Young Guns Produce, Santa Fe Ole’ Food Co. and many more. Every Farmers Market is in full harvest season mode right now. And almost all will be selling chile, fresh and/or roasted, and possibly roasting for you on site. This time of year, countless grocery and produce stores wheel the propane tank and chile roaster to the front, and sell and roast fresh chile as you wait. Not sure if your store is roasting? Just look for the spinning cylinder of fire, listen for the sound of chiles popping in the flames, and point your nose at that addictive aroma. Perhaps you have a family favorite. But if you need some inspiration check out our list of recipes, or our how-to videos. There are plenty of your future favorites there, just waiting to visit your kitchen.